For the past several years, the Capturing Campus Cuisine project has resulted in some wonderful collaborations and outreach opportunities between CAP and other MSU programs. Our partnership with MSU Culinary Services has resulted in a successful historic luncheon reconstruction and “throwback” meals with the MSU ON-THE-GO Food Truck. 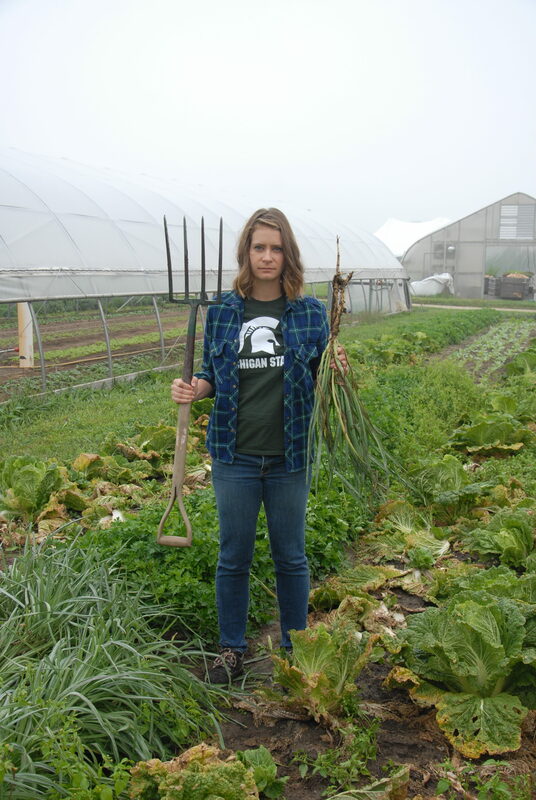 Our latest collaboration is with the MSU Student Organic Farm (http://www.msuorganicfarm.org/) which was established to provide Michigan State University students with hands-on training in sustainable farming. It revives a tradition from the earliest days of the university, when it was known as the State Agricultural College, where students worked on the campus farms and gardens daily so they could put to practice what they learned in the classroom. While researching historic campus food habits, Lisa Bright and I discovered the accounting books kept by the early campus Boarding (aka dining) Hall at the MSU University Archives. According to the purchasing records, in the 1870s the Boarding (dining) Hall regularly purchased a plant called “salsify” from the college garden and Horticulture Department. Salsify (sal–suh-fee), a root vegetable also known as the oyster plant because of its oyster-like flavor. Oysters were very popular in the mid-to-late 19th century, when they were abundant and cheap, so this plant catered to the tastes of the day. 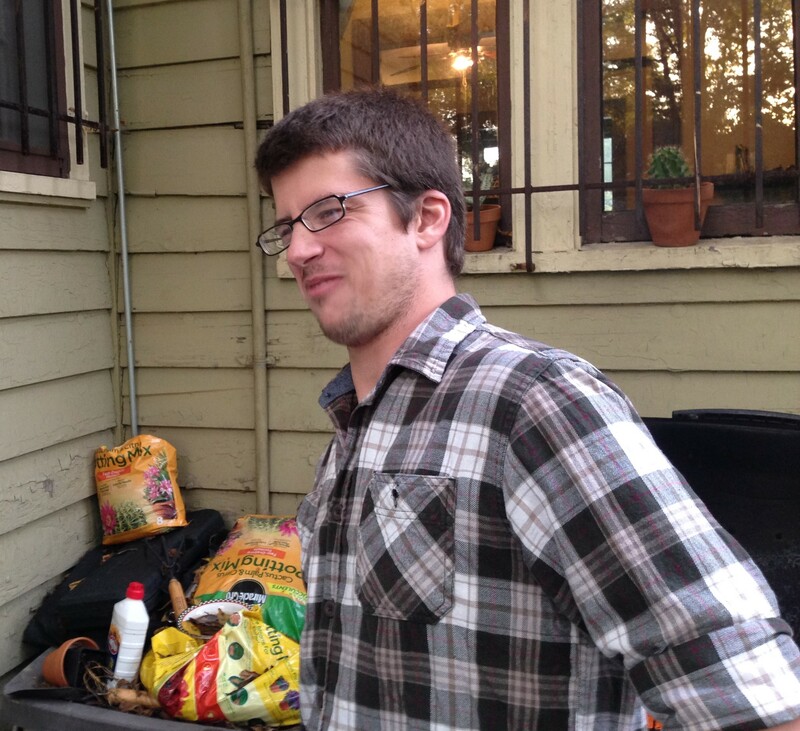 Salsify was just one of the foods grown on campus that was prepared and served back to the students who grew them. 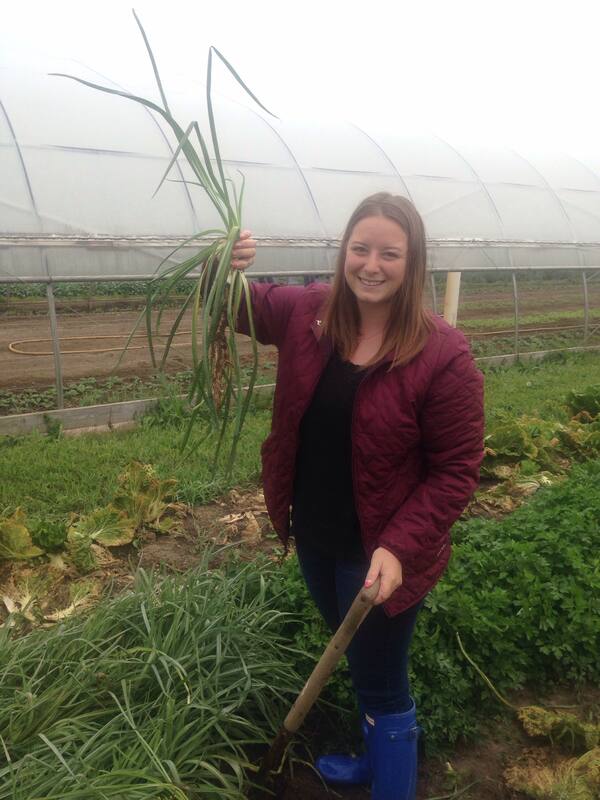 We had never even heard of salsify, much less tasted it, so we turned to the MSU Student Organic Farm to help us out. They kindly offered to grow some in their gardens. This week, Autumn and I visited the farm and harvested some salsify ourselves! It was great to meet Kate, the Greenhouse Manager, and Sarah, the Production Manager, and to get out and get our hands dirty (as archaeologists like to do from time to time). The remaining salsify was distributed last week in the community-supported agricultural (CSA) shares, along with information about salsify and some historic recipes to try. Where did we find these recipes? In cookbooks, of course! It’s National Cookbook Month, a time when home cooks are encouraged to try out new recipes. We found some popular recipes for the preparation of salsify from historic cookbooks in MSU Library’s Cookery and Food collection (LINK) (https://lib.msu.edu/spc/collections/cookery/). 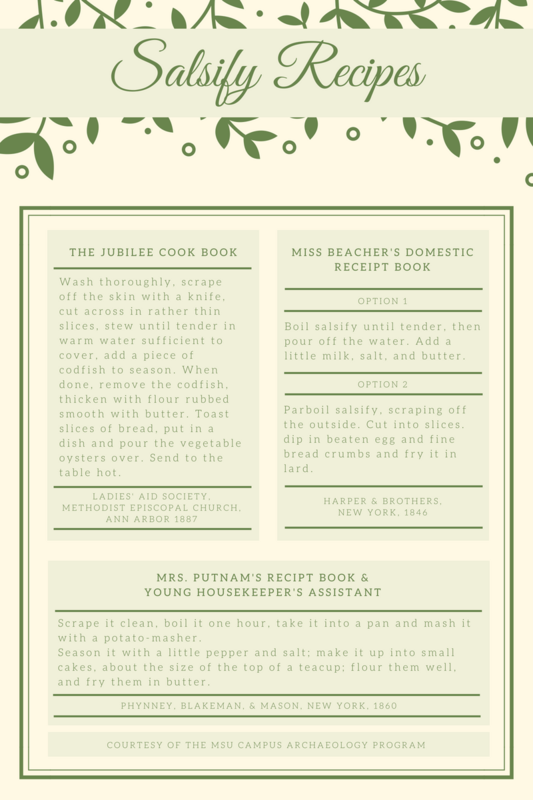 This digital repository has many historic cookbooks, so feel free to browse and find some fun historic recipes of your own! 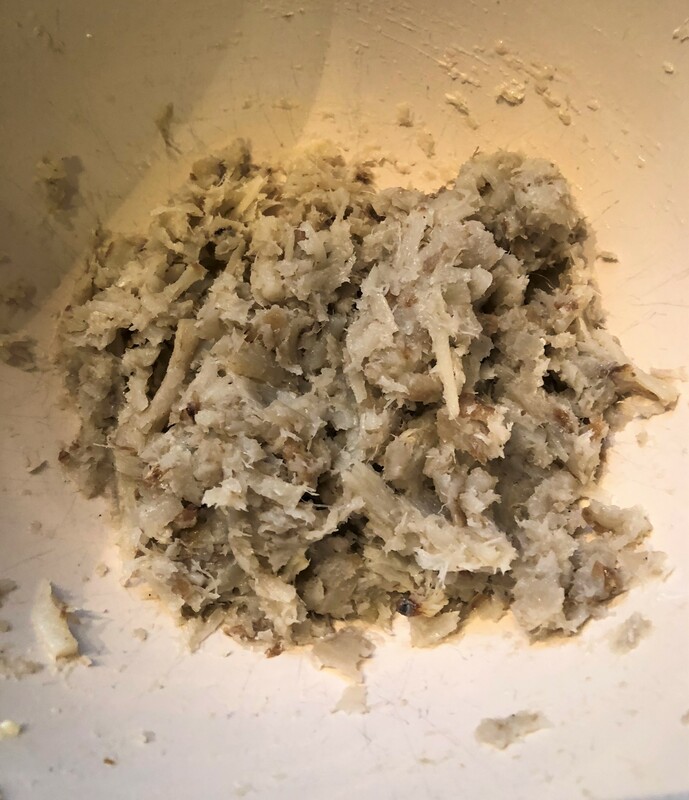 Those of us in Campus Archaeology enjoy eating, cooking, and friendship, so we decided to get together and try to prepare salsify in the tradition of these 19th-century recipes. 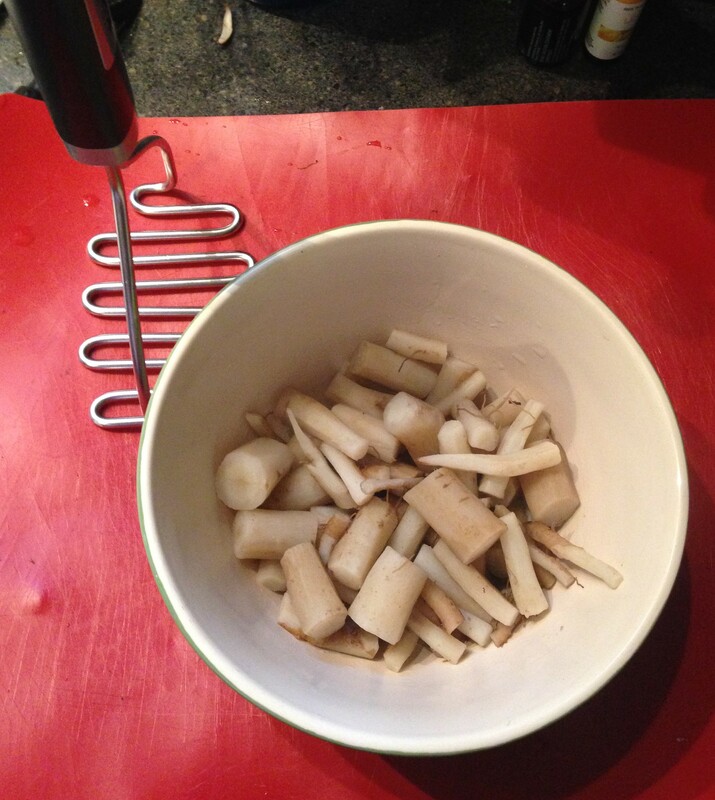 Next, we mashed, mashed, mashed that salsify right up (with a little butter). It didn’t mash as well as potatoes – it either needed a bit more boiling or it is just more fibrous than other tubers. Most of us didn’t think it tasted bad, it just wasn’t great. Suddenly, we felt the plight of the MSU students in the 1870s, who were expected to eat these bland mashed root vegetables and proceed through life and learning with joy (a seemingly impossible task). We decided to try and jazz things up a bit, remembering the local Lansing flare for croquettes in the late 1800s. 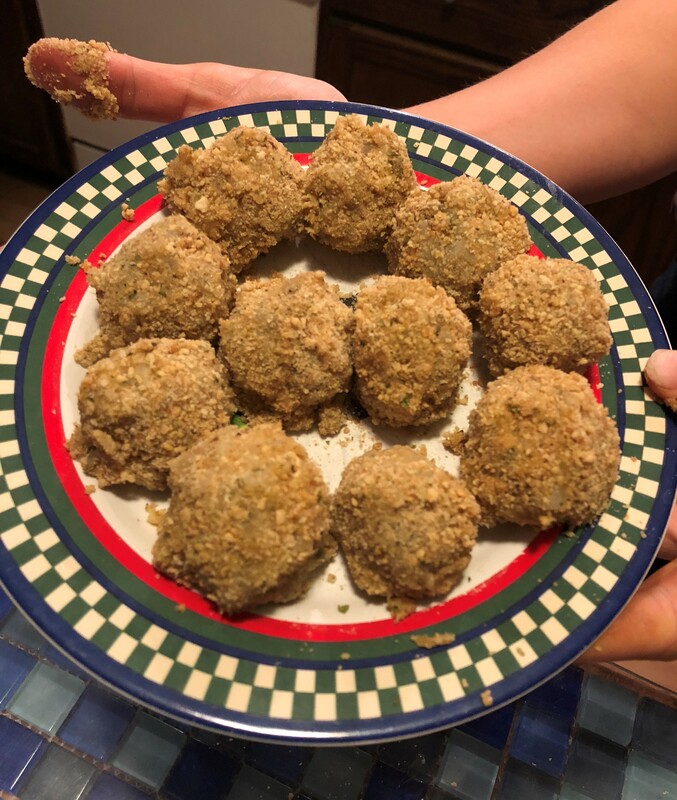 We formed the mashed salsify into balls, dipped them in an egg wash, rolled them in seasoned bread crumbs, and then pan-fried them in a bit of lard. Salsify was excellent once breaded and fried! The salsify “croquettes” were a much bigger hit than the plain mashed salsify (I mean, frying stuff in fat always makes things better, right?). We would highly recommend this method of preparation. 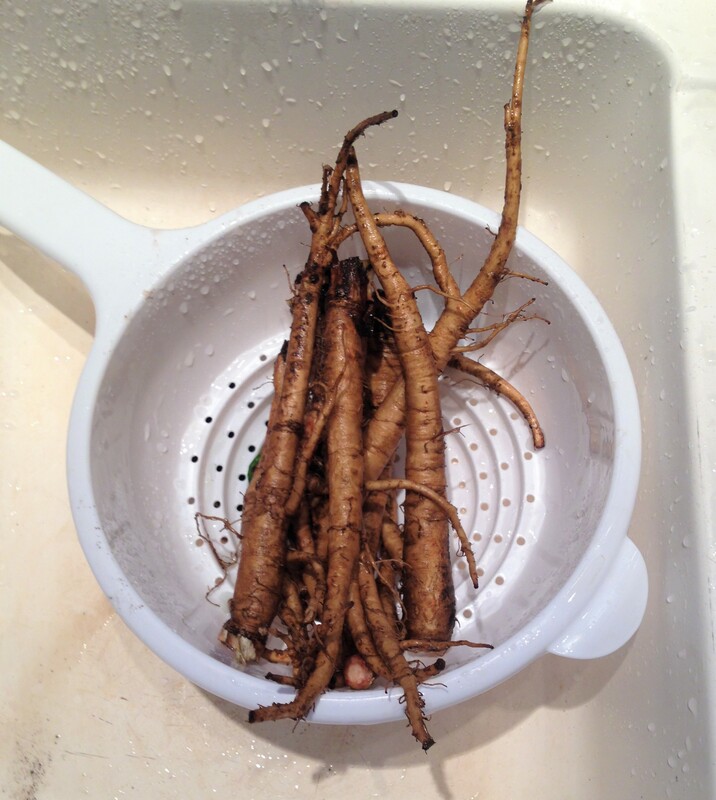 Not to put salsify down, but we can understand why this little tuber isn’t a staple of American cuisine. 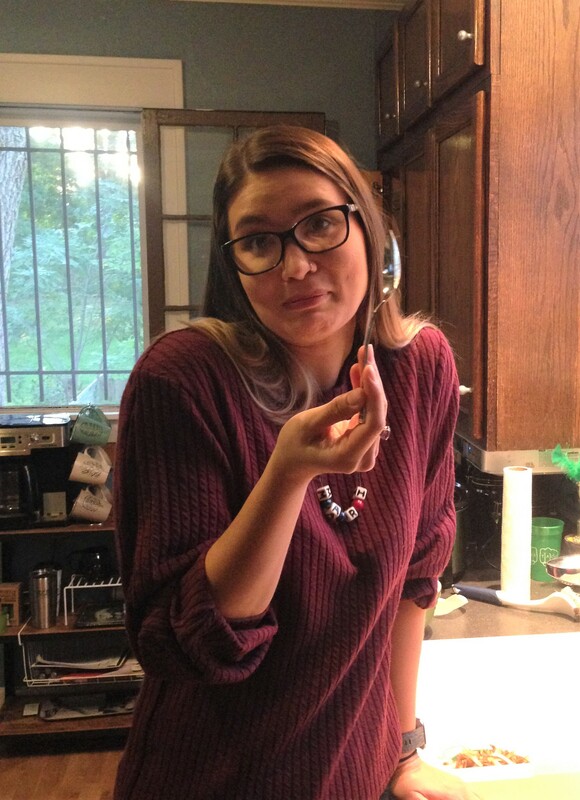 But it was certainly fun to try something new and get a little taste of the past. We can only hope that the 1870s Boarding Hall at the very least fried the salsify they served the students. We have provided you some of the historic cookbook salsify recipes at the end of this post, so if you manage to get a hold of this mysterious oyster plant and try any of them out, we would love to hear your reactions, good or bad! Sometimes history can be great, and sometimes it can be a bit…fishy.